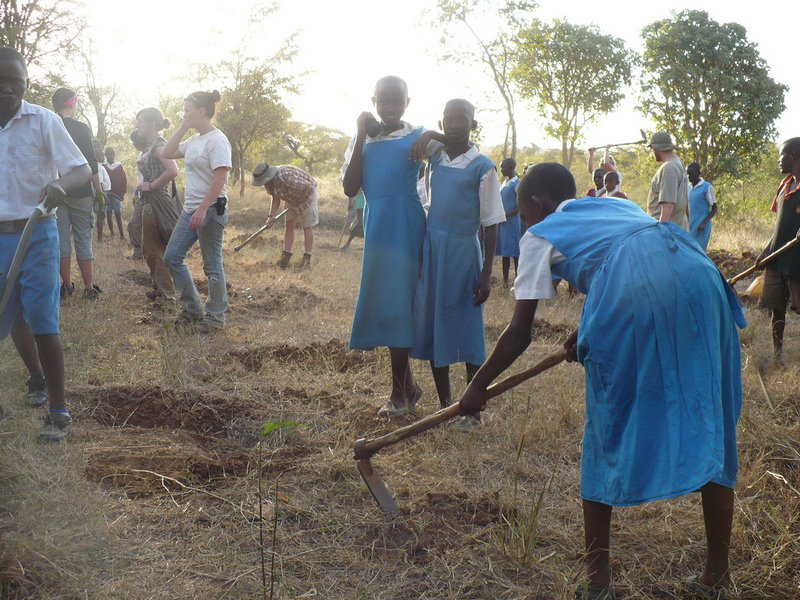 This story courtesy of Marketwire – Sep 18, 2012: Trees 4 Children, an initiative of the Make A Mark Foundation, today announced the half-way mark of its 10-year project to plant Melia Volkensii trees on 500 acres of land in the Nyumbani Village in Kitui, Kenya. The revenues generated from this project will be enough to sustain this village of ‘lost generation’ HIV/AIDS survivors, while reducing poverty through the creation of an ecologically friendly, community-based industry. The Trees 4 Children project was started as a new model to help fight the AIDS pandemic in Africa, where 80% of children who have lost their parents to AIDS now live. The project, which is in its fifth year with 120,000 trees planted, has already produced many benefits for villagers, including new jobs, ability to grow food crops between trees and new fuel from pruning the trees. The Nyumbani Village was founded by Father D’Agostino to serve orphans and elders who have been left behind by the HIV/AIDS pandemic. The village provides a family-like setting for orphaned children under the stewardship of elderly adults and seeks to ensure that the children receive love, sustenance, health-care, holistic education and culture transfer, aiming at their physical, psychosocial and spiritual development. The village stands on one thousand acres of land donated by the local community. During this year’s planting, which begins in October, over 30,000 new Melia trees will be planted across 50 acres in Nyumbani. Melia trees are an indigenous high-value tree species that grow quickly and will be sold as logs or timber products upon maturity. 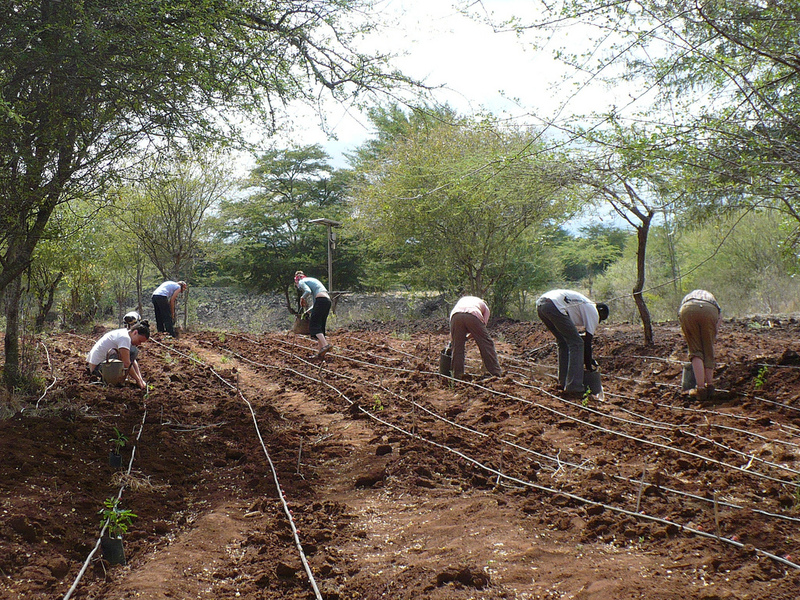 The trees are watered with solar pumps using drip and hand irrigation techniques. The project creates a suitable micro climate for more farming activities, essential for more farming activities and transforming the arid region. Unlike other HIV/AIDS outreach, Trees 4 Children is completely sustainable with 100% ownership given back to Nyumbani Village with all investments and donations used to plant trees and build scalable infrastructure. In addition to the economic impact, job opportunities and wages, Nyumbani Village residents are gaining invaluable business knowledge and interest of sustainable forestry that can be replicated in other villages and regions across Africa. Founded in 2008, Trees 4 Children is a sustainability initiative that is part of the Make A Mark Foundation and focused on growing and processing trees for lumber to help contribute to the financial self-sustainability of Nyumbani in Kitui Kenya — a village with over 1,000 HIV/AIDS affected children and elders. The organization has secured the support of well-wishers to help plant 300,000 trees across 500 acres. The revenues from this project will yield enough revenue to care for the children and elders in the village and help plant more trees to benefit additional AIDS orphans. To learn more, visit: www.trees4children.org. Make a Mark was established in 1993 as a non-profit foundation and has focused its efforts on the looming orphan crisis. As a result of the devastating AIDS pandemic, millions of orphans and vulnerable children are being left to fend for themselves. Make A Mark is working with a coalition of partners to support lasting and sustainable business solutions to the growing orphan crisis. For more information, visit www.makeamark.org.